The St. Lawrence Eastern Lake Ontario region is host to a variety of unique and globally rare habitats. 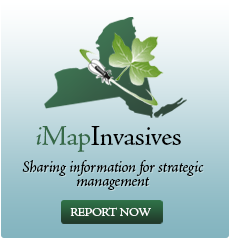 Terrestrial and aquatic invasive species pose a genuine threat to these natural areas. Save The Date – June 20th , you’re invited to attend a one-day event at the Tailwater Lodge in Altmar, NY. Expert knowledge will focus on an overarching theme of Enhancing the Health and Resiliency of Natural Systems.